Morris signed with the National Football League’s New York Jets as an undrafted free agent on May 24, 2016, and was placed on the injured reserve list on Aug. 31, 2016. He was released on Sept. 3, 2017. (Calgary) In his rookie season, Morris played 10 regular-season games and made five starts at tailback. He carried the ball 78 times for 376 yards and four touchdowns and added 24 catches for 167 yards and two scores. Morris also returned 32 punts for 409 yards and one touchdown and 17 kickoffs for 404 yards. His seven total touchdowns tied him for the team lead with four of the scores – two rushing and two receiving – coming in Week 13 at Edmonton. 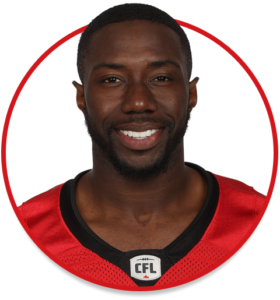 Morris scored a rushing touchdown in his CFL debut in Week 5 against Ottawa and had a 78-yard punt-return touchdown in Week 19 against Saskatchewan. He suffered an injury while returning a punt in the Western Final and was out of action for the Grey Cup. Morris made 13 starts in 50 career games over four seasons (2012-15) at North Carolina, rushing for 1,024 yards and 12 touchdowns on 213 carries. He also made 54 receptions for 499 yards and two touchdowns, returned 27 kickoffs for 597 yards and ran back two punts for 11 yards. Morris rushed for 1,780 yards and 30 touchdowns and caught 20 passes for 258 yards as a senior at Salisbury High School. He won back-to-back state 2AA titles and helped lead Salisbury to its first state title in 53 years. He also competed on the basketball and track and field teams and was state champion in the 100- and 200-metre dashes. He also ran track in college.